The U.K.'s offshore energy industry is in trouble because of low oil prices and rising costs. Cheap oil and rising production costs are killing the North Sea energy industry. Oil and gas drilling companies lost £5.3 billion on their North Sea operations in 2014, the worst losses in four decades, according to a new report. The annual survey conducted by Oil & Gas UK, which represents Britain's offshore energy industry, painted a bleak picture of the future of North Sea drilling. New investment in the region will fall by about one third in 2015 as companies are forced to slash costs. The slump could bring the industry to its knees. "Without sustained investment in new and existing fields, critical infrastructure will disappear, taking with it important North Sea hubs," said Malcolm Webb, chief executive of Oil & Gas UK. 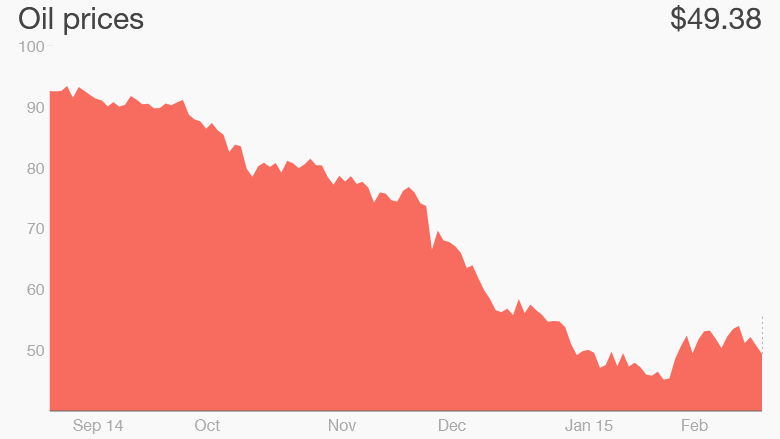 Oil prices slumped from around $110 per barrel to $50 per barrel in just over six month last year. At that price, one third of North Sea oil fields are making losses. 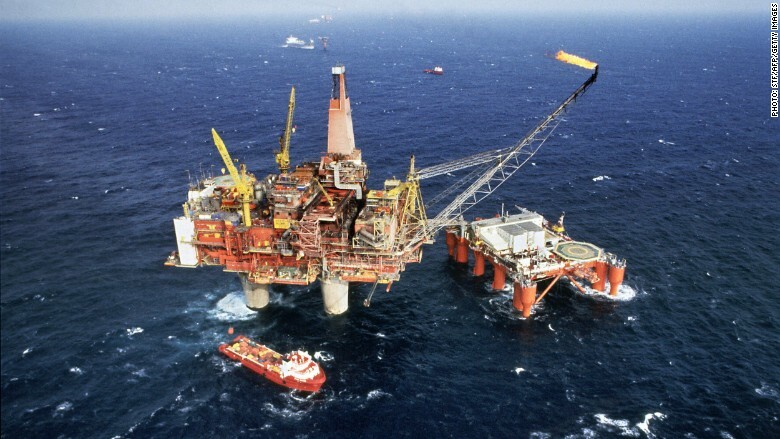 The report said North Sea oil and gas revenues slumped to £24.4 billion in 2014, the lowest since 1998. Only 14 out of 25 wells planned for 2014 were actually drilled, and only between eight and 13 are planned for 2015. Webb said the dire outlook could mean some areas could become completely unsustainable, leaving oil and gas in the ground. He estimated the industry needs to cut costs by around 40% in order to become viable. BP (BP) and Royal Dutch Shell (RDSA), both big producers in the region, have called on the British government to cut taxes on production to ease the pain. Despite the plunging prices, OPEC's power players are resisting calls to cut production.